Bose has launched the Solo TV sound system in India for Rs 25,673, which essentially is a sound bar replicating a virtual surround sound. Bose claims that it dramatically improves the dialogue, action and music on any movie and all this happens in a very portable package. It measures just 7cm high and 52.5cm wide and has been designed especially for flat panel television in particular 42-inch models so that it matches the width of the HDTV. Additionally, Bose has made it very easy to setup the Solo TV sound system with just one cable, so users should not be worried about many wires. 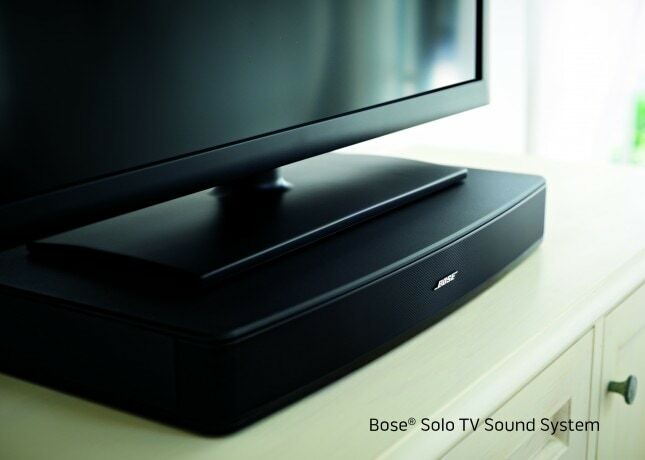 The Bose Solo TV sound system will be available in India starting November 25, 2012.